The kidney is an organ located in the posterior portion of the abdomen, parallel to the spine. Most of us have two kidneys, one on each side of the spine, but there are people who are born with only one. The kidneys are organs essential to life, and are responsible for several functions, among them, filtering the blood, control the levels of electrolytes (sodium, potassium, calcium, phosphorus, magnesium etc. 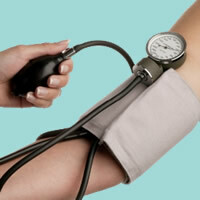 ), blood pressure, amount of water body, stimulate the production of red blood cells, vitamin D production, etc. Many diseases of the kidneys show little or no symptoms in its early stages. Many patients discover to be the bearer of kidney disease only in advanced stages, when there is not much to do to save kidney function. The best way to identify early kidney disease is through blood and urine tests. The dosage of blood creatinine allows us to calculate the rate of blood filtration from the kidneys, whereas the data of urinalysis, urine called EAS one can identify the presence of blood, protein, glucose or other substances that indicate a possible disease kidney. The big problem is that, although they are cheap and widely available tests for the population, the lack of symptoms that indicate kidney disease causes most people not to seek medical attention for evaluation of their kidneys. So below we will talk about ten common signs and symptoms of kidney disease. If you recognize any of these symptoms, see a doctor to make an assessment of the kidneys. Hematuria is the name we give to the presence of blood in the urine, either visible to the naked eye or only detectable in urine tests. 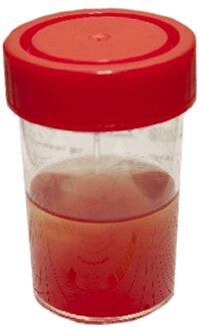 The presence of visible blood in the urine is called hematuria. Urinating blood often scares patients because it is common sense that this is a sign that something is wrong in the urinary tract. And a person with blood in the urine does take the initiative to seek medical attention. The big problem is when blood loss is not noticeable. The microscopic hematuria is one that is only identified through urine testing. This type of bleeding in the urine can go unnoticed for years, since it is not detectable to the naked eye. It is perfectly normal to emerge a little foam on the toilet when urinating due to turbulence of the stream of urine in the water. 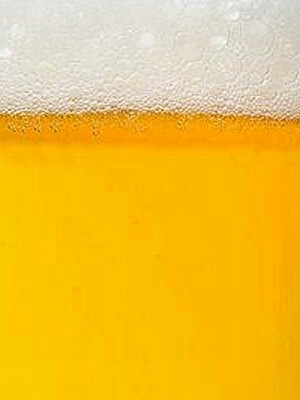 However, if you notice a change in the pattern of foam urine, especially if there is an increase in the amount and time it takes to disappear, it may indicate kidney disease. 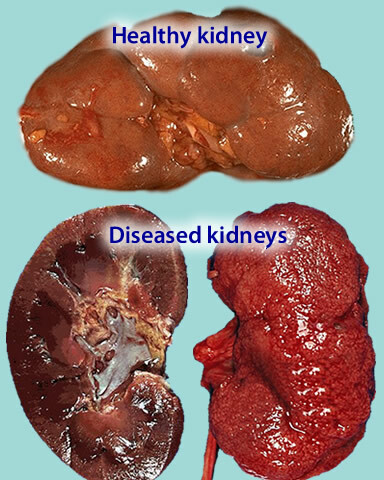 The kidneys are the organs that control the amount of water and sodium (salt) in our body. In renal failure in advanced stages there is a reduction of eliminating sodium and water accumulation, which leads to edema formation. The edema also occurs when there are large losses of protein in the urine, a framework called nephrotic syndrome. The bumps usually appear on the feet and ankles, up towards the thighs as the disease progresses. In more severe cases, there may be retention of liquids in the lungs that may lead to a scenario called acute pulmonary edema. The retention of sodium and water not only causes swelling, but also leads to hypertension. Both chronic renal failure and the glomerulonephritis often occur with elevated blood pressure. It's always good to remember that hypertension is one of the most common diseases in the population and more than 95% of patients with hypertension do not have kidney disease. Kidney disease should be suspected in the patient when hypertension develops suddenly, usually associated with one or more of the signs and symptoms described in this text. Patients whose hypertension was always well controlled with medication, but who suddenly have worsening thereof, should also be investigated for kidney disease. Another cause of hypertension of renal origin is a condition called renal artery stenosis, which is nothing more than a partial obstruction of the renal artery, responsible for carrying blood to the kidneys. The kidneys produce a hormone called erythropoietin, which is responsible for stimulating the bone marrow to produce red blood cells (RBCs). When renal function is impaired, as in advanced stages of chronic renal failure, there is a drop in the production of erythropoietin, causing the patient to develop anemia. 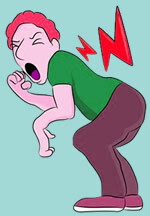 Fatigue in renal failure can have several causes. The most common is the presence of anemia, explained above. However, the accumulation of toxins in the body, as well as increased acidity in the blood (called acidosis), can also cause loss of appetite. The chronic renal insufficient patients in advanced stages get tired easily and have little cheer. If the patient is elderly, it can become apathetic. Fluid retention in the lungs mentioned in item 3 can also cause fatigue and shortness of breath. Similarly the increase in acidity and retention of toxins in the blood cause fatigue, they are also responsible for loss of appetite. In advanced stages, kidney failure causes the patient to have a metallic taste in the mouth and bad breath. Often the patient does not tolerate meat and start losing weight by malnutrition. Nausea and vomiting, especially in the morning, can also be a sign of end-stage kidney (renal) disease (ESRD). When the patient has the symptoms described above, the nephrologist usually indicates the start of hemodialysis. It is very common for the patients, especially the elderly, associate a pain in the lumbar region with a possible kidney disease. In fact, most renal diseases, including chronic renal failure do not cause back pain. Backache is in the vast majority of cases caused by problems of osteoarticular column. There are, however, some exceptions. The presence of a stone in a kidney or urinary tract can cause intense back pain, which often radiate to the groin. Low back pain of kidney stones is excruciating and has no relation to trunk movements. This feature is important to distinguish it from back pain that are not usually as intense and worsens when the patient moves the trunk. Another cause of low back pain of renal origin is a urinary tract infection, especially pyelonephritis. The polycystic kidney disease can also cause back pain, due to giant cysts that compress adjacent structures. Bleeding, infection or rupture of a cyst also usually causes pain. Waking up during the night to urinate is a common symptom of prostate diseases, however, can also be an early sign of kidney disease. When chronic kidney disease begins to progress, the kidney begins to lose the ability to concentrate urine. It is easy to note that the first morning urine is always more concentrated because of several hours without ingesting fluid, kidney reduces the water elimination in urine overnight. Patients with kidney disease lose the ability to concentrate urine and end up needing to urinate disrupting sleep. Most people think that urinating is a clear sign of kidney health. The reasoning is simple: I urinate because my kidneys are working well. This is a misconception. Urine is much more than water and is impossible to indicate with the naked eye whether the body toxins are being eliminated by the kidneys. Urinating only means that the kidneys are still able to excrete water. 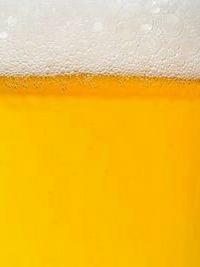 In fact, most patients with advanced chronic renal failure who need dialysis start urine at least one liter per day. Most of these stop urinating only one or two years after they started regular hemodialysis program. So urinate even large volumes does not guarantee that the kidneys are healthy. The interruption of urine occurs generally due to obstruction of the urinary tract, such as in prostate diseases. Some glomerulonephritis presents with acute renal failure, causing a rapid reduction in urine volume.